He’s a rock star in the baking world. 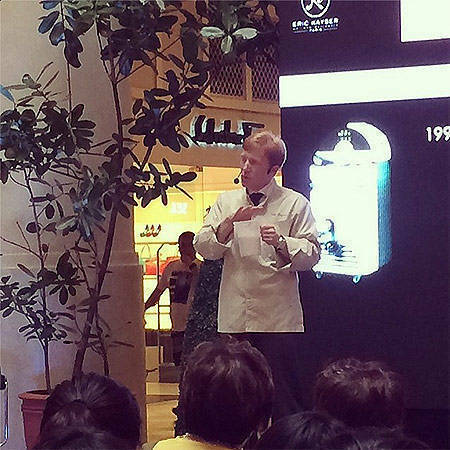 (SPOT.ph) World-renowned baker Eric Kayser is in Manila to promote the opening of the first branch of his eponymous bakery. At a press event today, February 26, Kayser, who comes from a long line of boulangers, discussed the history of his now-iconic brand before holding a demonstration on how they make their award-winning bread. Prior to his international success, Kayser, together with Patrick Castagna, invented a liquid yeast processor, the Fermentolevain, which makes and conserves liquid leaven for baking. The first Eric Kayser then opened in Paris in 1996 and was an instant hit. In the last 18 years, he has opened branches in New York, Russia, Japan, Taiwan, United Arab Emirates, and several others. During his demonstration, Kayser constantly repeated the patience and passion necessary to make quality bread. He also reiterated that good bread will be reflected from the quality of the ingredients. As with the Philippine climate not being too conducive to making viennoiserie and other French pastries, Kayser explains that he had to adjust some of the preparation and cooking time to maintain the same standard. 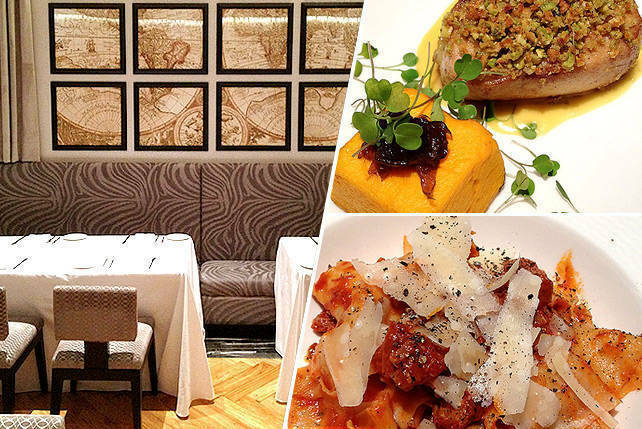 Eric Kayser Philippines opened at The Marketplace in Rustan's Power Plant in December 2013. The set-up is a grab-and-go boulangerie, though customers can find tables at The Marketplace's communal seating area. A second branch, styled like a café, is in the works in New Promenade, Greenhills, San Juan. It's set to open in March 2014.